While the Pentax K-1 II may have been a somewhat lackluster upgrade to the K-1, it fortunately wasn’t the only high-end product to come out of Ricoh this year. The HD Pentax-D FA* 50mm F1.4 SDM AW lens was announced back in October of 2017, but just started shipping in July. As part of the brand’s range-topping Star-series, the lens promises unprecedented performance and build quality — and price. At $1,200, Pentax is expressly targeting professional shooters and enthusiasts with some money to burn. This lens is designed to compete with the likes of the Sigma 50mm f/1.4 Art ($950) and other high-end normal-focal-length primes. For serious Pentax shooters, this is a very good sign, as Sigma (and others) have stopped producing lenses in native K-mount for Pentax cameras. This is also just the second Star-series lens built for full-frame cameras (the original K-1 was Pentax’s first full-frame digital model, released in 2016). That would appear to be a good sign for Pentax’s full-frame efforts going forward. While the K-1-series lacks some of the polish of other brands, it does have many unique features like 5-axis stabilization and Pixel Shift Resolution that give it a lot of potential, so we’re hopeful that more high-end full-frame lenses are on the way. Weighing in at a full 2 pounds, this is no ordinary 50mm lens. At 4.2 inches in length, it’s also quite long. Without knowing it, you probably wouldn’t guess it was a 50mm if you saw it mounted to a camera in the wild. It’s as if Pentax is completely ignoring the push on the mirrorless side of the aisle toward smaller camera systems, and instead embracing its position as a niche developer of bulky DSLRs for a certain breed of distinguished, if a bit old school, photographers. But this is also part of a slow-moving trend toward larger, more premium primes. The Sigma 50mm f/1.4 Art is just shy of the Pentax at 1.8 pounds and 3.9 inches long. Both of these are giants compared the type of 50mm lens that used to be the norm, like the older Pentax SMCP-FA 50mm f/1.4 which measures a mere 1.5 inches in length and weighs just 7.8 ounces. So beyond price, that’s another thing you may want to consider before taking this new Star-series lens home: Will the construction and image quality be worth the backache? This is no ordinary 50mm lens. Fortunately, every ounce of that weight goes to making the Star-series 50mm feel as premium as it gets. 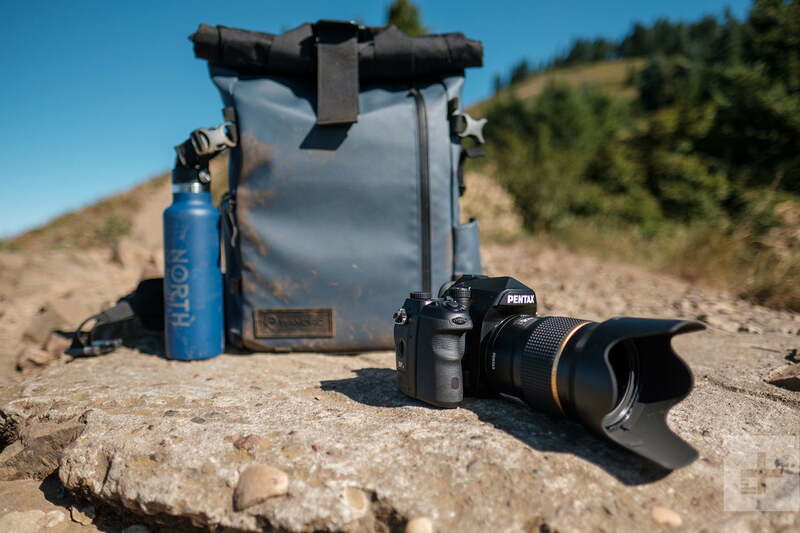 Dust-proof and weather resistant, it will feel right at home on any weather-sealed Pentax body (like the K-1 II that served as our test camera in this review). As soon as you pick it up, you know this is a lens that means business. It inspires confidence and makes you feel like a pro, even if you aren’t, and it backs up that confidence with genuine performance and an optical design meant to produce best-in-class results. That design is a complex formula of 15 elements in nine groups, which goes some way to explain the lens’s heft (and cost). 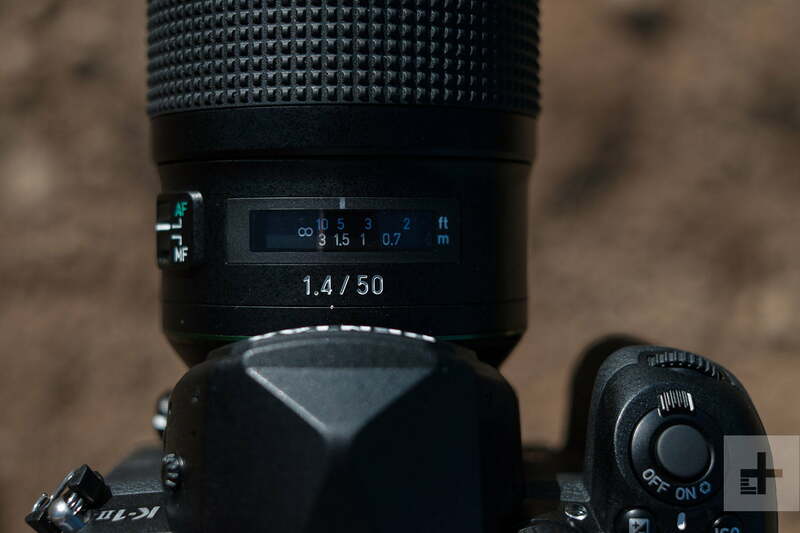 The Sigma Art, for comparison, uses 13 elements while the older Pentax 50mm makes due with just seven. A lens with more elements isn’t necessarily going to perform better than one with less, but it generally means the manufacturer is doing more to control the light passing through it, either to reduce aberrations or produce a desired subjective effect. In the case of Pentax, it’s both. Objectively, that means three super-low dispersion elements, one aspherical element, and two different types of coatings that all combine to reduce chromatic aberration, improve edge-to-edge sharpness, and control flare and ghosting. Subjectively, a nine-bladed aperture produces rounder blur circles, while a “natural bokeh effect” “de-emphasizes the edges of the light source” according to Pentax’s official description. Basically, this seems to soften the edges of background blur circles, and is somewhat similar to the “feathered bokeh” look of Olympus’s F1.2 Pro series, but more on this later. Built for the latest digital camera bodies, the Star-series 50mm takes only electronic inputs from the camera body, not just for autofocus, but also for aperture. That means it won’t be compatible with older cameras. Ricoh lists the Pentax K-1 II, K-1, K-3 II, KP, K-70, K-3, K-S2, K-S1, and K-50 as all being compatible. Of these, all but the K-1 Mark II, KP, and K-70 will need the latest firmware update to be able to control the lens’s aperture (visit Ricoh’s support page for instructions on checking and updating your camera’s firmware). Beyond optical quality, Pentax also set out to ensure this lens performed well mechanically and electronically. It uses a new generation of Pentax’s Supersonic Drive Motor (SDM) which provides more than seven times the torque of the previous motor. The result? Extremely fast autofocus. As with any lens, speed is dependent on available light, but even in a fairly dim scene (ISO 1600, 1/125 second, f/1.4), the lens had no trouble finding focus. In fact, sometimes it was even faster than we thought; we noticed the autofocus confirmation beep on the camera would occasionally sound a split second after the lens had already locked focus. In real-world use, it can be hard to handhold at f/1.4 on a full-frame body and nail focus, simply because the depth of field is so shallow. The imperceptible movements your body makes are enough to shift the focus. When it came to portraiture, this meant we often ended up with the focus just behind or just in front of our subject’s eyes. This is, though, most likely not the fault of the lens — on a tripod in a controlled setting, results were very sharp and the focus was always spot-on. When shooting handheld, consider stopping down to f/2.8 or smaller to ensure best results. To nobody’s surprise, the Star-series 50mm performs admirably throughout the aperture range. Objectively, there is very little to complain about: Virtually no distortion, chromatic aberration is very well controlled and basically only visible in defocused areas, and vignetting is light and all but absent by f/2. Essentially, it is everything you would expect from a $1,200 prime lens. But the subjective qualities are what really make the Star-series 50mm shine. Wide open, the natural bokeh effect yields beautifully soft backgrounds and creates a slight “glow” in highlights beyond the depth of field. For portraiture, this can do wonders for skin tones. It’s a bit like a much subtler version of the glow effect in a Lensbaby Velvet-series lens, except your point of focus remains tack sharp (assuming you nailed it in the first place). The Star-series 50mm is everything you would expect from a $1,200 prime lens. While it is quite good wide open, we would argue the sweet spot on this lens is f/2. At f/1.4, it is a tad softer and blur circles on the edges of the frame take on an oblong shape. Closing the aperture by a single stop sharpens up the image noticeably and renders almost perfectly circular bokeh while maintaining a very shallow depth of field. To be clear, the lens is still impressively sharp at f/1.4, but it will give you more if you stop down. For close-up subjects, even shooting in the range of f/5.6 to f/8 will result in really pleasing bokeh while providing plenty of depth of field to keep your subject sharp. In short, just because it says f/1.4 on it doesn’t mean you shouldn’t use other f-stops. For landscapes — which, admittedly, isn’t where a 50mm lens is meant to shine — the lens performs well thanks to great sharpness across the frame. Peak sharpness is found around f/5.6, with the onset of diffraction coming in around f/11 on the 36-megapixel K-1 II. That means you won’t get your deepest depth of field and maximum sharpness at the same time, but this is nothing new for photographers accustomed to working on high resolution cameras. Ricoh offers a one-year warranty on all imaging products. Other than the weight (and the cost), we really found no faults with the Pentax-D FA* 50mm F1.4. It combines robust weather sealing and construction with impressive image quality. Add to this the 5-axis sensor shift stabilization on the K-1 II (and many other Pentax cameras) and you have yourself a really unique pairing: A fast, premium prime and stabilization. There are very few examples of this in the DSLR world, although many can be found among mirrorless cameras where in-body stabilization is common. While we did encounter some slight focus errors shooting handheld portraits at f/1.4, this was unlikely the fault of the lens. Our own movement was probably the bigger factor here, as we did not encounter these issues when using a tripod. DSLRs may be dinosaurs, but by shifting toward full-frame cameras and premium lenses, Ricoh could carve out a niche where the Pentax brand can thrive. It may never have the broad appeal of a Sony or a Canon, but that’s fine if it can support a small but dedicated group of discerning photographers. 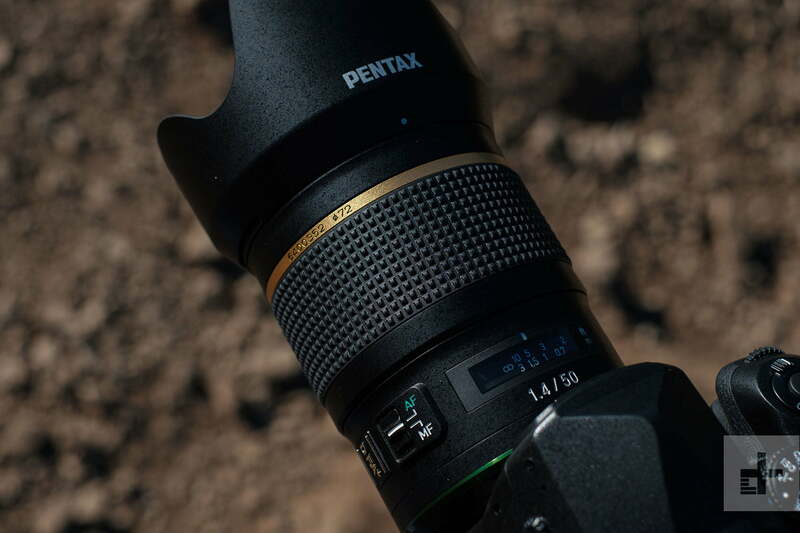 The K-1 II may have left us feeling a bit underwhelmed, but with lenses like this, we’re very excited to see how Pentax continues to evolve. Not for Pentax shooters. This is certainly an expensive lens, but if you’ve been lusting for a premium 50mm in K-mount, this is will give you everything you want. Like Pentax cameras, this lens is built to last, even in inclement weather. It is a unique, high-end offering that we doubt will see a replacement for quite some time, so you should get many years of use out of it. If you’re confident that you’re sticking with Pentax for the foreseeable future and don’t mind investing some serious cash into a normal focal length lens, then yes, absolutely buy the Star series 50mm F1.4. It is incredibly well made and produces great results, with sharp details even wide-open and creamy bokeh throughout much of the aperture range.